News: Should Your Machining Service use ERP? | Temco Tool Inc.
Should Your Machining Service use ERP? One advantage to machining your parts through Temco Tool is our use of Enterprise Resource Planning software, or ERP. So, what is ERP, and should you always look for this software in your machining service? ERP oversees our process from start to finish, from the initial request for quote, through manufacture and delivery, capturing every step and detail during the manufacturing process. ERP enables manufacturers to be lean, agile, and cost competitive. Temco’s ERP software system details job costing, scheduling, tracking of time and other cost factors, inventory management, and material tracking. Our system also handles all transactions in the quality side of manufacturing, making true cost analysis and real-time quality conformance tracking fast and accurate. Temco tool has integrated the ERP system on the manufacturing floor to gain accurate inputs at the time of manufacture, to track cost, schedule, and quality at the source. This "closed loop" approach allows us to take actual job inputs and compare to the job estimation, to supply true and accurate job close-out results. This enables Temco to supply a completive quote, and production cost based on historical performance. How does our ERP help you? Our ERP system cuts the fat on all our processes. 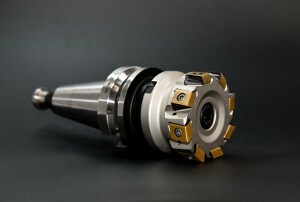 This means less wasted resources and more efficient machining for Temco. And lower costs for us means lower costs for you. Because of our streamlined manufacturing process, we are able to offer traceability to virtually any level, easily maintaining standards certified to ISO9001:2008 and AS9100 Rev C.
I am sure your project has been lost in the cracks of a machining company’s to-do list at one time or another. With ERP, we know the location and progress of your project at any given time. This means no lost projects and jobs shipped on time. The purpose of ERP software is to make a business the best, most efficient machine. Without an ERP, most companies are missing opportunities to streamline their process. Materials, time, and labor is then wasted. If a company is wasting resources (even unknowingly), it will cost you. To get the most value from your machining service, use of an ERP is vital. To learn more about our ERP software, click here.